The Honor Magic 2 is only the second of the new wave of slider phones – a form factor reborn from the ashes. The way it’s designed is less complicated (which in turn may mean less prone to breaking) than the powered pop-ups of certain other phones that tried to eliminate the selfie camera notch. PC Pop has published a step-by-step disassembly that shows how it’s done. Taking apart the Magic 2 starts off as usual – apply heat to unglue the glass back. You can see the metal heat spreader, below that is the brain of the phone. But before that, the camera has to get out of the way. It's a combo of a two camera modules (24MP B&W + 16MP color) plus a single module (16MP ultra-wide angle). 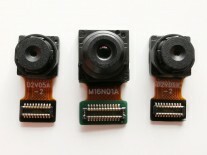 The camera assembly on the front is built up of three separate components. 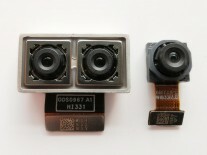 The middle one is the 16MP selfie camera, the two on the side make up the infrared 3D face scanner. Then the 3,500mAh battery comes out. It has two connectors, which are likely part of how the upgraded 40W SuperCharge works. Next stop, the motherboard. The flagship Kirin 980 chipset is hiding under the LPDDR4X RAM by SK Hynix (red). The Toshiba-made 128GB of storage is at the bottom right (yellow) and the Wi-Fi module (by HiSilicon) is on the left (blue). And here’s where, uh, the magic happens – the sliding mechanism. There’s not much to see here, just two slide rails and a ribbon cable. That’s the one element you have to worry about, the most common cause of death for old time sliders was the ribbon cable. 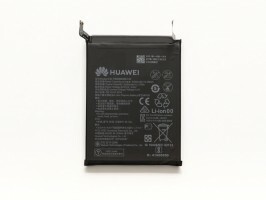 Finally, the end of the journey, the Honor Magic 2 broken down to its constituent parts. 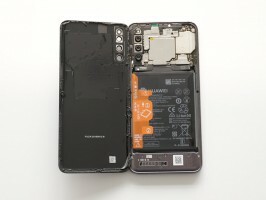 Check out the links below for a step by step guide through the teardown (hopefully, you’ll never have to repair it). Ah, so they're still using the old mechanism. I remember my Xperia Mini Pro display dies after two years due to broken ribbon cable that costs 1/3 of the phone, so I decided to put it to rest instead and upgraded to a solid phone. Don't believe everything you read on social media. Only time will tell you which is the best when it comes to such design. It is better to wait for the review of the first buyers.